Here is a wonderful Clinique Brand Cosmetics Mirror and Makeup Station for facial rehabilitation. 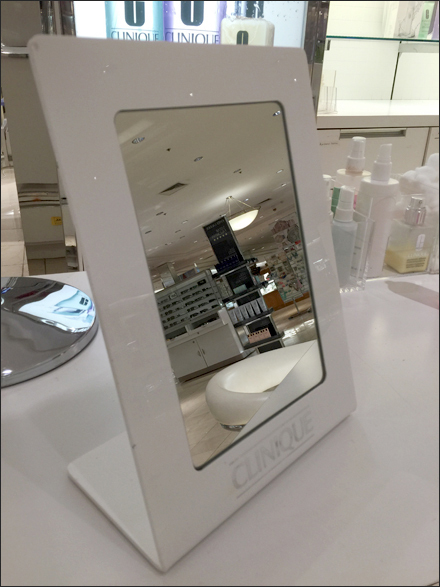 Each time you apply Clinque and check how much better you look, Clinque takes credit at the base of the mirror. 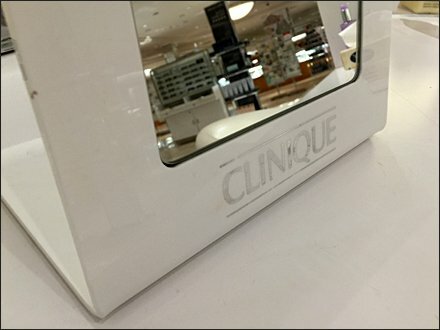 Click through the Clinique Brand Cosmetics Mirror and Makeup Station gallery for all outfitting goodies. For Cosmetics Amenities posts by Title see..